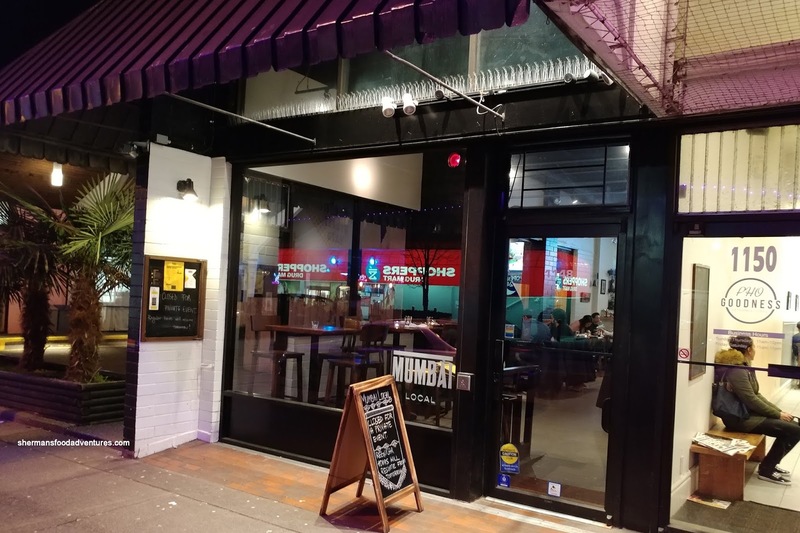 Typically, I blog about "regular" restaurant experiences I have with my family, friends and/or other foodies. Hey, that is what I do in my "regular" life, so it translates directly onto this blog (and my IG account). However, there are certain special events that are interesting and worth writing about (no, I'm not talking about grand openings...), rather, I'm referring to the recent collaboration dinner by Chefs Tim Schulte of Bauhaus and Tushar Tondvalkar of Mumbai Local (who incidentally have worked together in the past). Before we got to the 6-course dinner, we were served German Bread accompanied by coconut curry butter and bacon butter. Okay, the bread was well, bread. However it was robust enough so we could spread the butter without it tearing apart. The curry butter was aromatic due to the coconut and of course aromatic from the spices. Now the bacon butter was even better being whipped, purposefully salty and rich. Not sure why it was grey in colour though. Alright, one more item before the actual dinner - the amuse bouche. It consisted of Duck Liver Lego and Edible Charcoal. Ingeniously set in a lego mold, the little "brick" was buttery, smooth and aromatic with a pronounced duck gaminess. 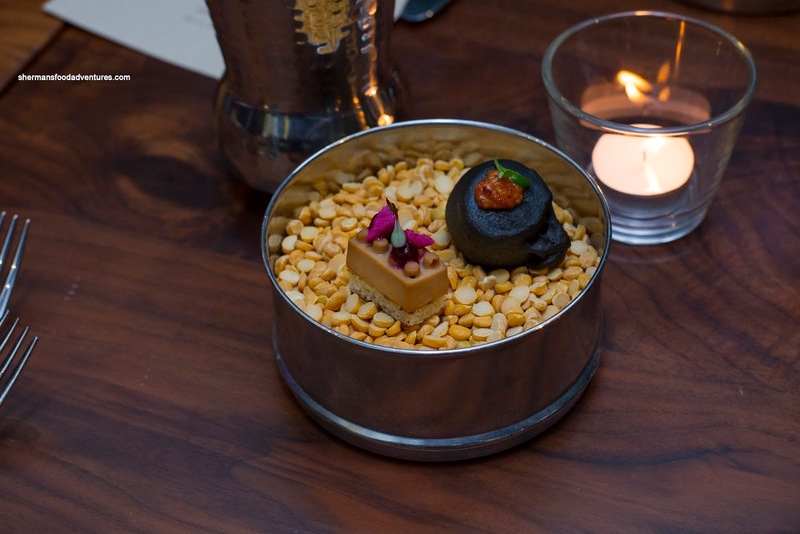 Beyond the crisp shell, the edible charcoal sported a spicy and ginger curry potato centre. This was a flavour bomb for sure. Onto the first course, we were served the Dahi Batata Puri consisting of a crispy potato shell with soft potato accented by yogurt, tamarind, date puree and mint. This was both classic and modern at the same time. The flavours were all there including the mint and the tanginess of the tamarind underneath the crispy potato. The little drops of date puree were spicy as much as it was sweet. The yogurt on the bottom of the plate added a creamy tang. Layers of flavour and different textures were at play here. 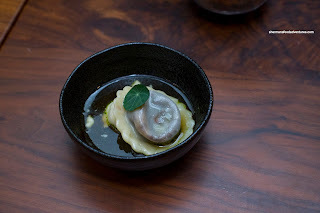 My favourite dish of the meal was the Ochsenschwanz or oxtail ravioli served in beef consomme and with celeriac puree. The pasta was al dente and appealingly chewy. 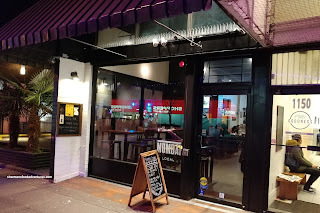 Inside, the oxtail was tender where the flavours popped with wine and sweetness. Lots of meatiness and depth, but not salty. Loved the clean taste of the broth that kept things from being heavy. 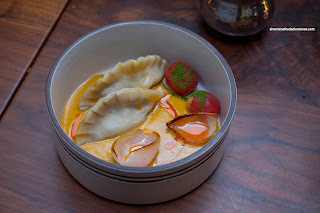 From one dumpling to another, we were served the Duck Momos with coconut curry and burnt shallots. Although the dumpling skin was a little thick and chewy, this was not really an issue as the sauce was fantastic. The tender duck dumplings merely served as a vessel to sop up all of the delicious creamy aromatic curry. Loved the spice level as it was definitely there without blowing my tongue to bits. 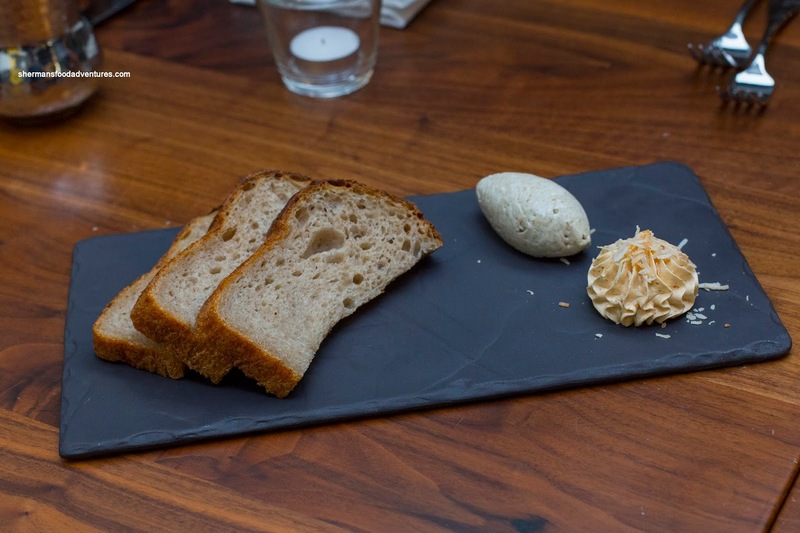 The charred shallot was not merely a garnish, it provided a sweet crunch. 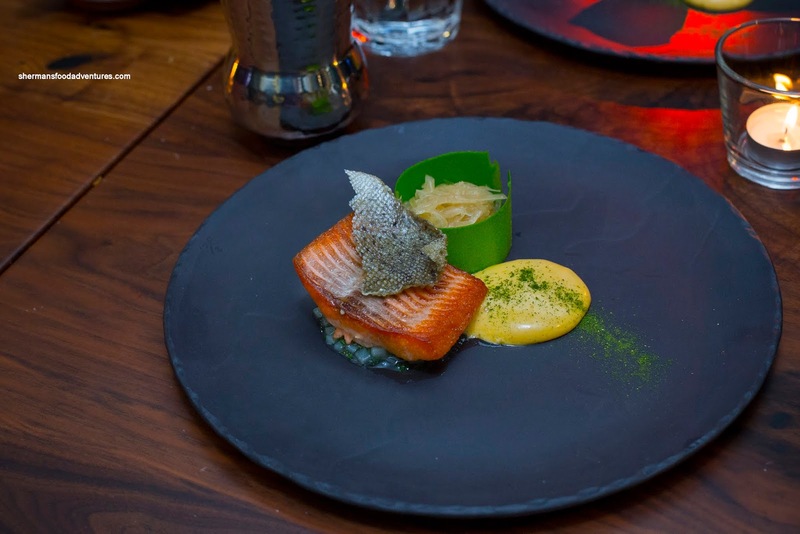 Sporting a fish skin "chip", the Forelle or steelhead trout was served with whipped smoked potato, champagne kraut and brown butter. At first, I thought the potato was a Hollandaise sauce, but in fact, it was just very airy and buttery smoked potato. It was a nice "sauce" for the perfectly cooked trout which was flaky and moist. 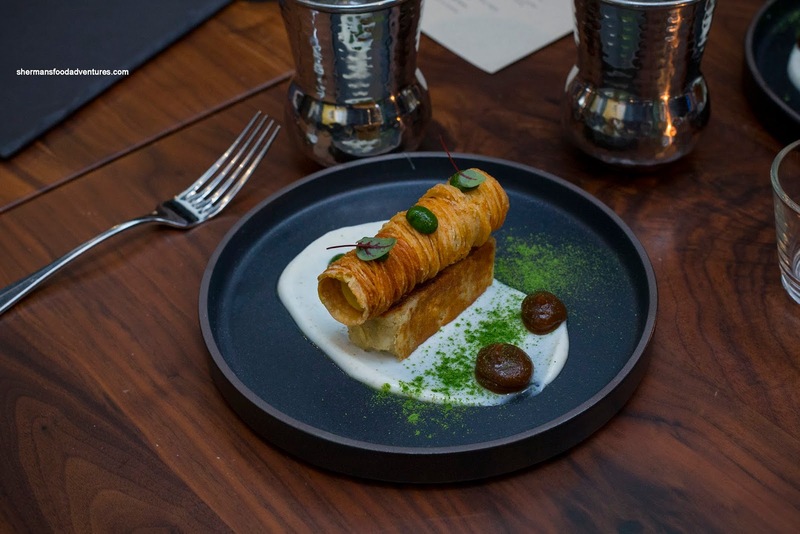 Our last savoury item was the Entenbrust featuring seared aged duck breast, red cabbage puree, garlic panisse and charred onion with onion cream. Despite looking rather pale, the duck skin was crispy and mostly rendered. The aged duck was tender and deliciously gamy. 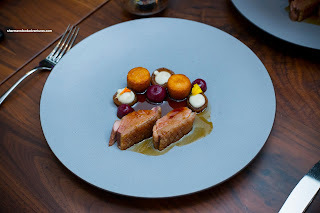 By itself, it tasted great, but with the the onion, panisse and red cabbage, there was a lot going on including aromatics, tang and sweetness. I really enjoyed this dish. 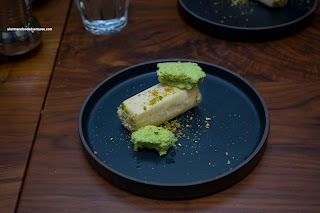 Onto dessert, we had the Kulfi with sugar apple, white chocolate coating and pistachio. As much as this looked really sweet, it was much milder in actuality. 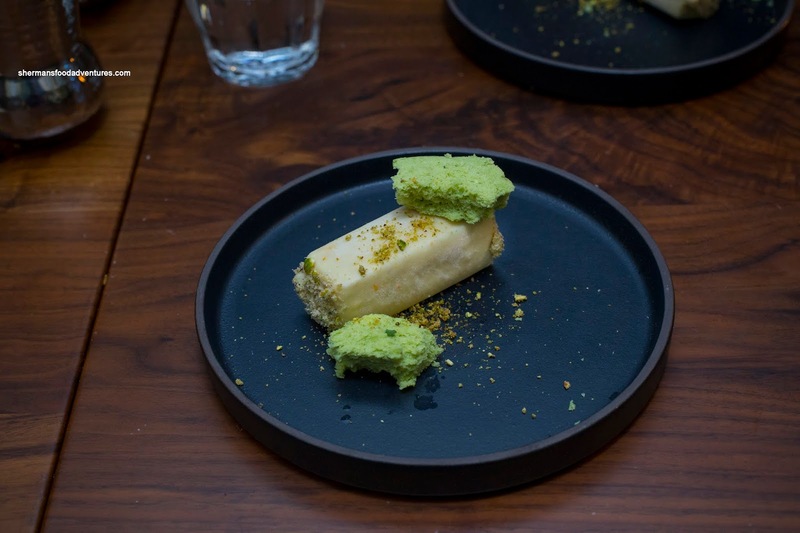 The pistachio really came through while the kulfi was lightly sweet and moderately creamy. Loved the pistachio cookie that provided a nutty crunch. This was a nice finish to a really tasty and interesting meal. Definitely some real skill exhibited with well-executed and attractive dishes.